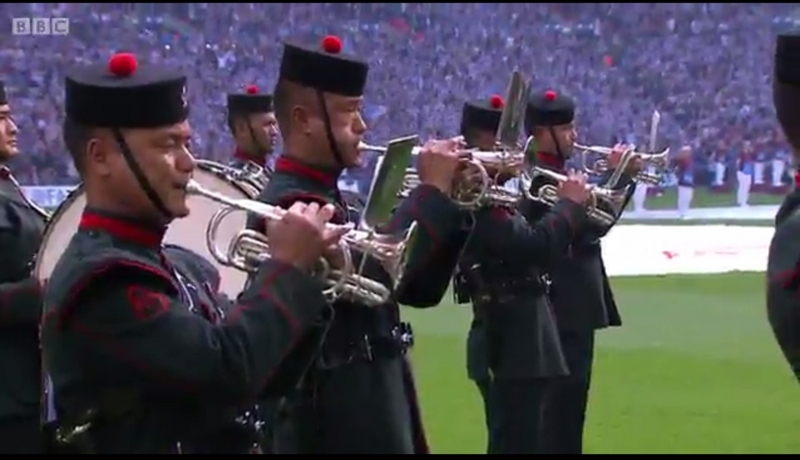 The Band of the Brigade of Gurkhas has had a busy but spectacular few days with a series of high profile performances. Starting last Thursday with an appearance on the BBC’s The One Show, broadcast to millions of viewers around the country, they played Abide with Me as a run up to the FA Cup. To top it off their final performances outside Buckingham Palace over the weekend marked the end of a month of Public Duties for the Brigade. The Band’s next major engagement will be their performance at the Gurkha Pageant in the Royal Hospital Chelsea on the 8th and 9th of June, with Her Majesty the Queen, the Duke of Edinburgh, Prince Charles and Prince Harry attending on the second night..